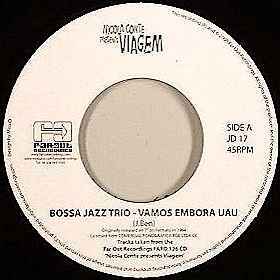 Bossa Jazz Trio originally released in 1964 on Fermata and Zimbo Trio originally released in 1963 on RGE. Both tracks our taken from the compilation Nicola Conte - Viagem - A Collection Of 60's Brazilian Bossa Nova & Jazz Samba (FARO 126). Includes poster.